One that requires innovative efforts and the financial support of our current community and families and those now beyond our walls who remain committed to working towards changing the broader vision of education for all students. The cost of a new campus to accommodate both schools is estimated at $28.5 million, or an investment of roughly half for each school. The first step toward realizing this vision is raising $12 million ($6 million from each school), to finance the construction effort. Both schools are working hard to raise these funds by that date. Through a careful cost analysis, we have developed a conservative estimate that shows Giddens able to carry the remainder of its cost of this project through bank financing. This debt service will be paid through our regular cash flow, part of which no longer will be needed for leasing costs for our current facility. Based on thorough analysis by each school’s finance committee, Giddens School and Lake Washington Girls Middle School have determined that they are able to carry the cost of this project. LWGMS is also actively working on its own fundraising and financing strategy to secure the remaining funds for its portion of the facility. 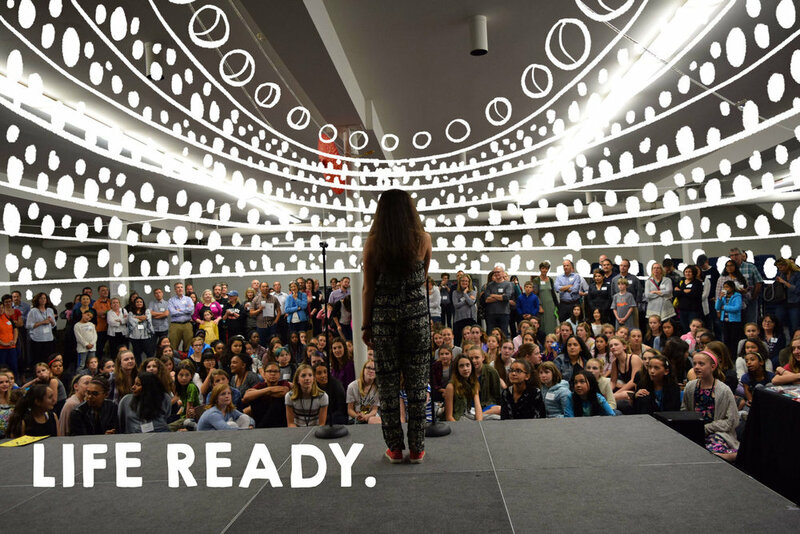 In order to achieve our vision, Giddens School is partnering with a long-time friend, Lake Washington Girls Middle School (LWGMS) – the first all girls middle school in Seattle – to purchase and develop property together. On one campus, we will retain our own distinct identities, programs, and administrations while sharing building costs and common areas often underutilized in schools. Through subtle and economical design moves, Graham Baba creates places that tell a story, places that people are drawn to and spaces that encourage social interaction and community. 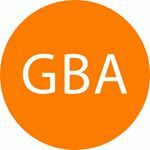 The Graham Baba team is driven by thoughtful creativity and collaboration and works to celebrate the embedded qualities of spaces as well as the potential of a site and program and client vision. Graham Baba’s twenty-four employees are all deeply involved in their project development processes; they are essential in producing the project designs and design deliverables required by each unique client and project. Costigan Integrated (CI) recognizes that owners need more efficient and versatile representation to succeed in these times. Their mission is to integrate their experience, knowledge and passion with that of the owner/investor to create an exceptional project with predictably positive results. Their approach is based on partnership and collaboration, going far beyond the traditional owner/investor representative’s role. They assist in defining realistic goals for clients and providing the means and leadership to achieve the desired results. CI has over 30 years of experience in providing construction management and real estate development services to both the private and public sectors as well as to community based and non-profit organizations. That experience has taught them the value of identifying and assembling the right team for each project, the importance of providing effective communication and leadership to the team members and establishing a culture that emphasizes performance and accountability. By aligning the skills of their team members with the interests of their client, the building process becomes a streamlined collaborative effort that ultimately achieves a successful project. Exxel Pacific is committed to values centered on family, trust, honesty and integrity which guide the team in all that they do. Exxel Pacific understands the importance of building and maintaining relationships with clients, subcontractors, architects, and vendors, and they believe in providing clients with sustainable buildings that cost less to operate and are also healthier for occupants and the environment. Exxel Pacific was founded in 1989 as an outgrowth of the development activities of Exxel Development Group, an active multi-family and commercial development company in northwest Washington. 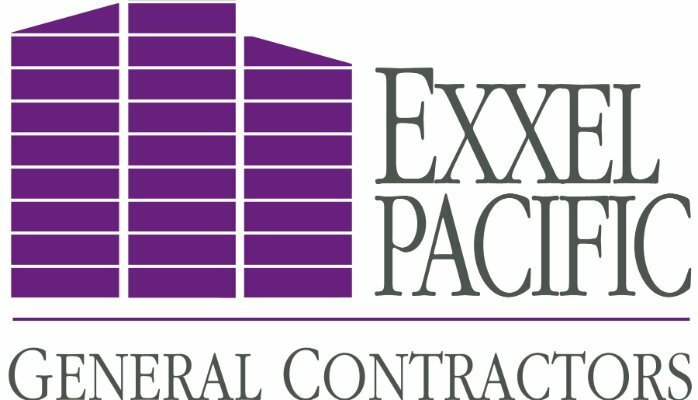 Exxel Pacific began working with clients to provide unique and comprehensive construction and development experience. They have continued to grow, and have become a leader in commercial construction throughout the west coast. School projects include the newest building at the Northwest School, Lynden Christian High School, and Assumption Catholic School. Cascade Design Collaborative believes that cultures are defined by the quality of their public spaces. CDC improves the quality of our lives and the health of our planet through the creation of a safe, beautiful public realm. Their collaborative design process deepens the connection of people to the land and each other. Cascade Design Collaborative's design approach emphasizes the thoughtful use of materials and sustainable systems. They prioritize soil science, ease of maintenance, constructibility, and cost effectiveness to create long lasting landscapes. With both planners and landscape architects on staff, their services include master planning, schematic design, design development, construction documentation, and construction administration. They pride themselves on being great designers and masterful technicians. Partnerships with area non-profit organizations deepen our students’ learning and provides opportunities for service and experience. Within 1-mile of our new home, there are more than 16 nonprofits with natural partnerships opportunities. 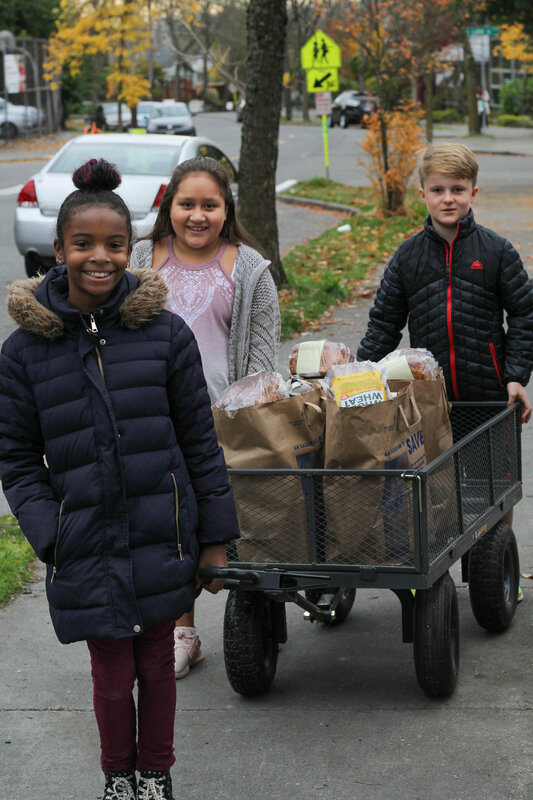 Our current partnership with The Food Bank at St. Mary’s will continue and our 2nd-5th grade students will bring food to home-bound seniors at the Seattle Housing Authority's Gideon-Mathews Gardens apartments. These current and future partnerships help to create future citizens who are aware of the needs of others, seek to understand their neighbors, and have access to inter-generational understanding of social issues.